Regular, everyday baby goats are adorable! They have stumpy little legs and high-pitched voices. 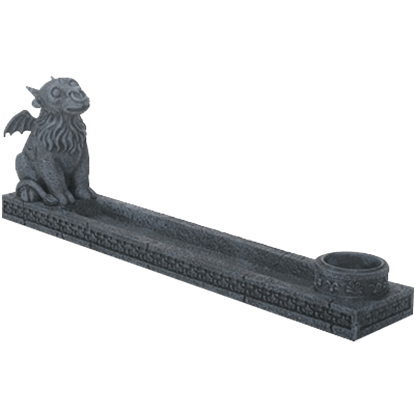 The baby goat on the Baby Goat Gargoyle Incense Holder is cute too, just in a Gothic gargoyle kind of way. Look at its little wings! Gargoyles were intended to ward off evil spirits, making them the perfect sentinels for watching over your incense. 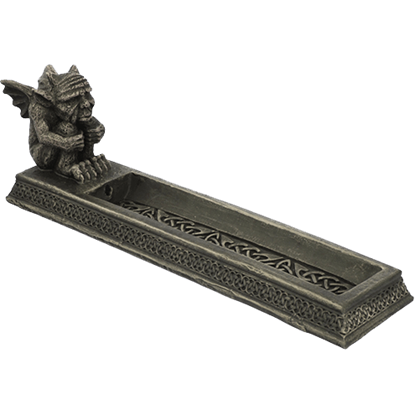 The Celtic Gargoyle Incense Burner features a crouched, wizened chimera at one end of a rectangular tray. 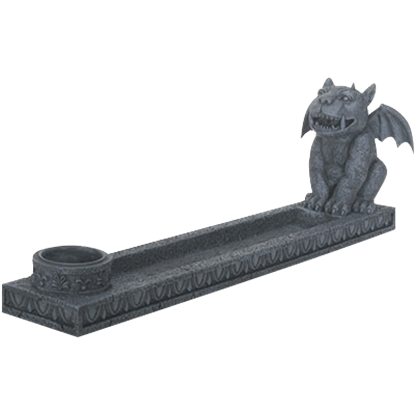 Fido is a fairly common name for dogs, and the gargoyle on the Fido Incense Holder looks a bit like a dog, for a gargoyle, so it makes sense that he be named Fido. He is rather cute, looking up at you with that tusky grin of his. Intended to help ward off evil spirits, gargoyles appear on the rooftops and sides of many works of Gothic architecture. 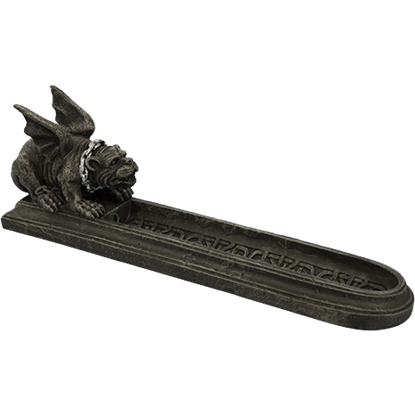 The Gargoyle Incense Burner features a chimera crouched on all four legs with a silver chain around its neck. 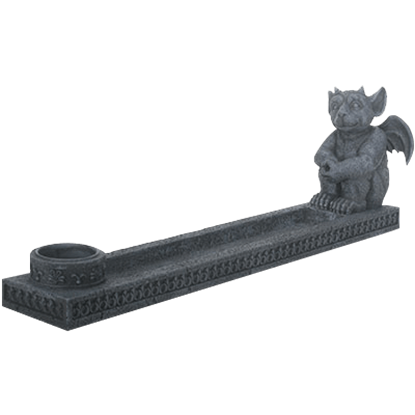 This Gargoyle Incense Burner combines the features of an incense burner and a candleholder into one great item that happens to feature a classic, gothic gargoyle along with intricate lined decorations and patterns. Gargoyles are wonderful companions! They can sit there all day and listen to you, they hold your stuff without dropping it, and they do not complain! 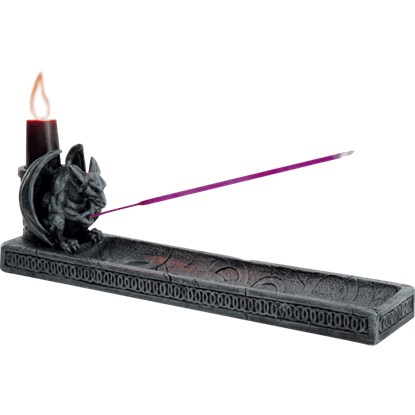 The gargoyle on the Gargoyle Incense Holder is content to hold incense for you! 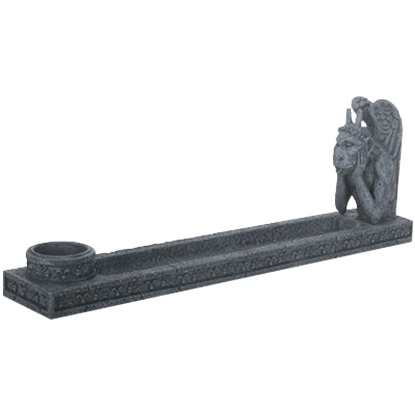 Looking as though it has come to you direct from a designer of gothic architecture, this Gothic Gargoyle Incense Burner stands as both a fine detail to have on a shelf or table as well as a great place to burn your favorite incense. 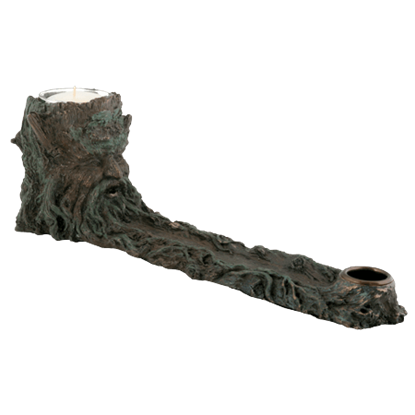 This green man incense burner features a green man with his viney beard and mustache overgrown to create the base of this incense burner. 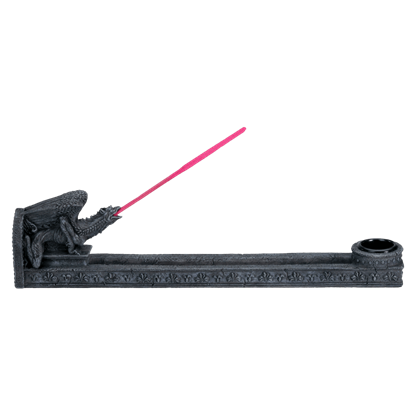 This incense burner would be the perfect addition to your gothic style home. 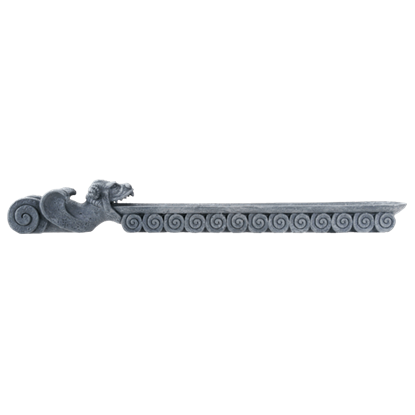 This griffin incense burner is a great accent for your gothic decor. This incense burner features a griffin bent over a stone pedestal, with his wings back and his mouth open. This griffin incense burner is made from cold cast resin. Mermaids combine the beauty of the natural oceanic world with a hint of fantasy. 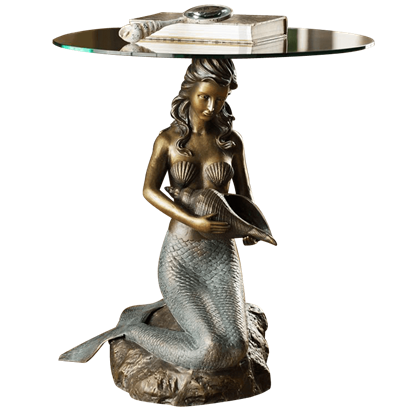 The Mermaid Table lets you bring one of these lovely creatures into your home as a functional piece of decor for any room of the house. The cathedral of Notre Dame in Paris is one of the most well-known churches in the world, and a large portion of that fame goes to its many gargoyles. One gargoyle seen on the cathedral is also on the Notre Dame Incense Holder!